In the past, cable news stations would break off ties with any commentators when they ran for a political office. 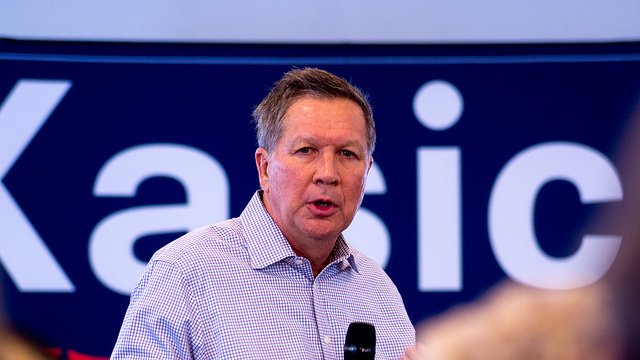 Kasich was a two-term governor, and after he left the governorship, he became a client of the United Talent Agency on Jan. 14. This is the same agency that represents the American rapper, Pitbull, and several CNN contributors. CNBC reported Kasich was looking to join either MSNBC or CNN, and he never considered returning to Fox News as it is pro-Donald Trump. It is common for stations to go after the same individual for exclusive contracts. CNN has recently signed as commentators Democratic Rep. Luis Gutierrez and Republican Rep. Mia Love. Tom Rath, a senior advisor for Kasich’s 2016 presidential campaign, said by being a commentator for CNN, it gives him a place voice his opinion and to remind people what the Republican Party used to stand for. Kasich has been one of Trump’s harshest critics. Two years ago he ran against Trump for president and recently has stated he has not ruled out running in 2020. Trump has said he hopes that Kasich and other Republican’s who are his critics run against him in 2020. Brad Parscale, Trump’s campaign manager, reacted to Kasich signing with CNN on Twitter. Shocker…@CNN, the aquarium for Republican never-Trump swamp creatures, who have no real supporters outside of their own green room, adds this original swamp creature to their collection of nobodies. After hearing that Kasich has joined the cable news network, Rep. Al Baldasaro who is a Republican Trump supporter said Kasich is at home with CNN. He belongs with the Democrats. He also said it is his opinion that he will never be a presidential nominee with the Republican Party and now Kasich can spend all the time he wants attacking Trump. Trump has regularly attacked CNN on social media and frequently refers to the news outlet as fake news. He tweeted a cartoon of a train that had the word Trump on it hitting an individual with a CNN sticker on their face. The last time Trump appeared on CNN was August 2016 when he was a candidate.